Georgia - Second, below the cell wall is the cell membrane; this regulates concentrations of salts and water inside the cell. Antibiotics called Polymyxins break open the membrane, causing the bug to spill its guts and die. 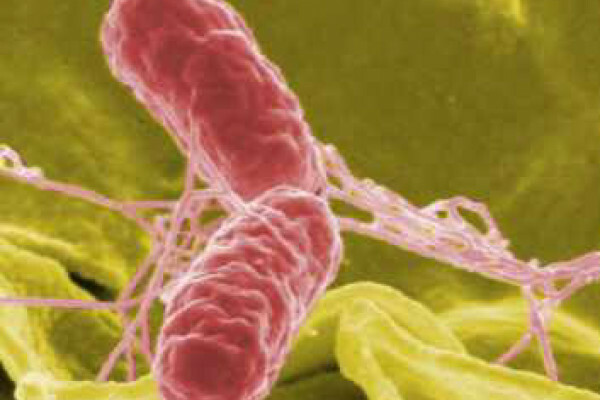 Tom - Thirdly, bacteria use DNA, just like we do. And antibiotics such as ciprofloxacin, which is sometimes given to patients with urine, skin and chest infections, stop bacteria from copying or repairing their DNA, causing them to keel over. Georgia - Fourth, you can stop a bacterium in its tracks by ensuring it can no longer make the vital nutrients it needs to live. For instance, sulphonamide antibiotics, like trimethoprim, prevent bugs from making the essential folic acid that they need to grow. Tom - And finally, number 5, you can send in a drug that stops the assembly line in a bacterium's protein factory. Without proteins a cell can't survive. Drugs like tetracycline work this way and are commonly prescribed for people with acne or chest infections. Previous What's growing on your desk?